MOVED – No longer at this location. Now located in Westport at the Westport Flea Market. No longer has its own bar, shares with the Westport Flea Market’s bar. Scooter’s 271st bar, first visited in 2007. 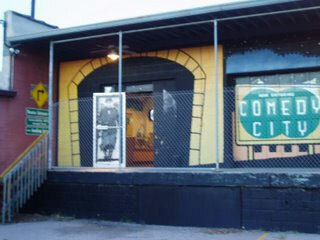 When it was located in its own building in Columbus Park, Comedy City had it’s own bar downstairs from the main stage.